Rick visits RWDI Engineering in Guelph, ON to do experiments using their state- of-the-art technology. Christine Skirth celebrates a highly successful 20-year career at Conestoga-Rovers & Associates (CRA) dedicated to civil, municipal, and environmental engineering. After receiving her Civil Engineering Technology Diploma from St. Lawrence College in 1985, Christine worked for several engineering firms before settling in at CRA. Christine has pulled from her C.E.T. and PMP education and training to effectively manage multi-million dollar projects while simultaneously growing and managing the CRA Ottawa office and staff. She has exceeded client expectations through performance on all aspects of landfill engineering including environmental assessments, feasibility assessments, design and operation, landfill gas collection and utilization, leachate collection and treatment, surface water management, and financial assurance and closure. As a CRA Principal and Project Director, Christine continues to lead by example in the office and in the field while maintaining a balanced lifestyle at home and abroad. Around Ottawa, Christine enjoys boating and completing renovations at the cottage. She stays active on her hockey team and finds time to train for and complete half marathons. Overseas, Christine and her husband recently fulfilled a long-time goal of trekking to Mt. Everest base camp. We would like to take this opportunity to congratulate Christine Skirth on her 20 years at Conestoga-Rovers & Associates and wish her many more successful and wonderful years to come. 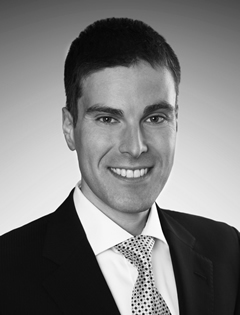 Willms & Shier Environmental Lawyers LLP is pleased to announce the appointment of John Georgakopoulos as Partner, effective January 1, 2013. Prior to becoming an environmental lawyer, John was a senior environmental scientist at Ontario’s Ministry of Environment. While at the MOE, John worked with U.S. state representatives to develop a regional, bi-national toxic air emissions inventory for the Great Lakes region. In 2001 and 2002, John received the MOE’s Emerald Award for superior quality service and environmental protection. John commenced his environmental law practice at Willms & Shier in 2008. He advises clients on environmental compliance and due diligence, defends environmental prosecutions and orders, and litigates environmental claims. We are pleased to have John as part of our team. ORTECH Environmental, a division of ORTECH Consulting Inc. is pleased to announce that Ciara De Jong will be joining the ORTECH family as Principal, Compliance and Permitting. Ciara will lead an already dynamic team of engineers and scientists providing a wide range of air quality and environmental assessment consulting services to the energy, industrial and MUSH sectors. Ciara has a Bachelor of Environmental Sciences (Guelph) and Masters in Environmental Studies (York) with extensive experience in the environmental consulting sector, and for the past 5 years, she has been the Manager of the City of Toronto's Environment Office. She has been involved in the development of sustainable energy policies as well numerous air quality, climate change, energy and risk management projects. Ciara also has experience in environmental assessments and dispersion modelling and is the current President of the Ontario Section of the Air and Waste Management Association (A&WMA).